In honor of Valentine’s Day this week I chose to add a little pop of color to my nails. I’m usually a dark red or neutral tan type of girl but pinks and purples seemed to be more appropriate this time. I love using two (okay, even three) different colors for my nails too. I used to think it look kind of childish and maybe even tacky, but more and more I’ve been using my nail polish to add a little extra sass and personality to my look. 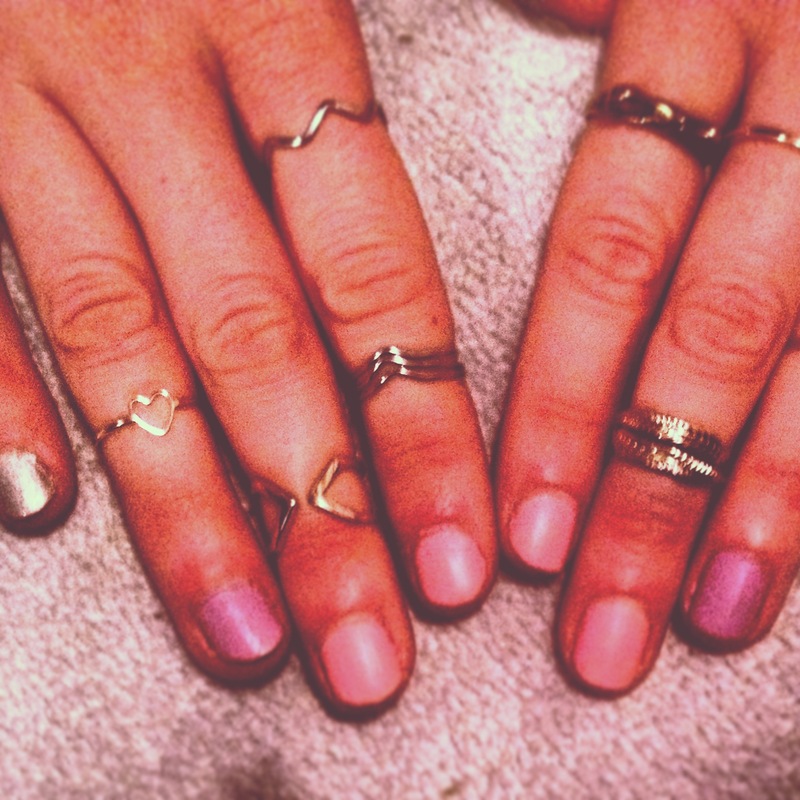 Finished with some delicate mid-finger rings and I’m ready to spread some serious love. Love the combination of your mid rings! This photo makes me want to get my nails done!! Thanks! And I know, if I could have it my way I would seriously get my nails done like every week…hehe.